When you think of the colour red, what words come to your mind? Upon doing some digging on the psychology of red I wasn’t surprised to find out that red is seen as the colour of, ‘energy, passion and action‘. It is thought to ‘dominate’, be ‘strong-willed’ and awaken our ‘physical life force’ hence the terminology ‘blood-red’. And when it comes to sexuality, there is no doubt that red stimulates our physical emotions. 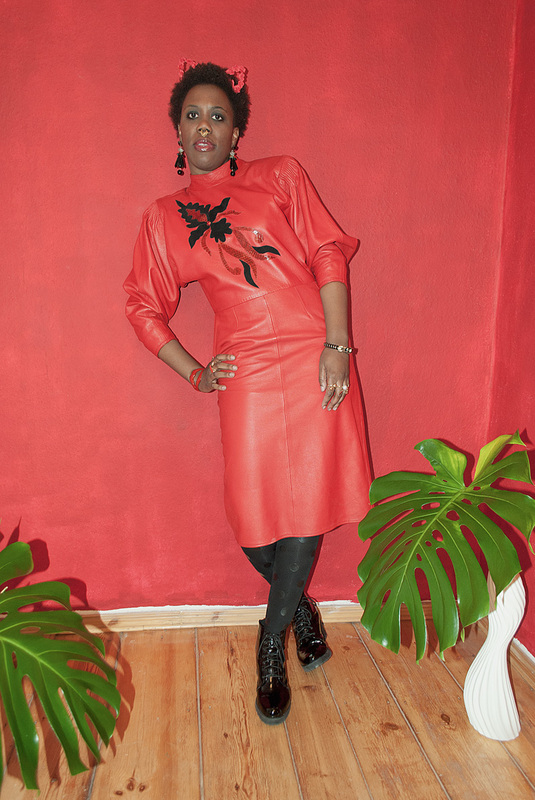 If red is all of these powerful adjectives and more, then when you emblazon its, ‘Eff With Me & I’ll Eff You Up’ demeanour on leather- great things happen, hence why this leather red dress is one of my favourite vintage finds. 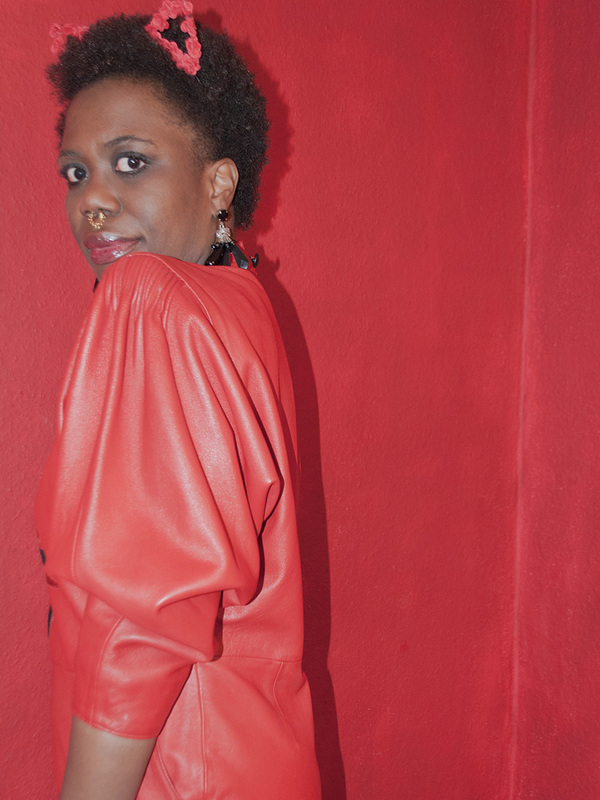 Props to ReSales because the affordable statement leather pieces, it stocks are insane in the membrane. 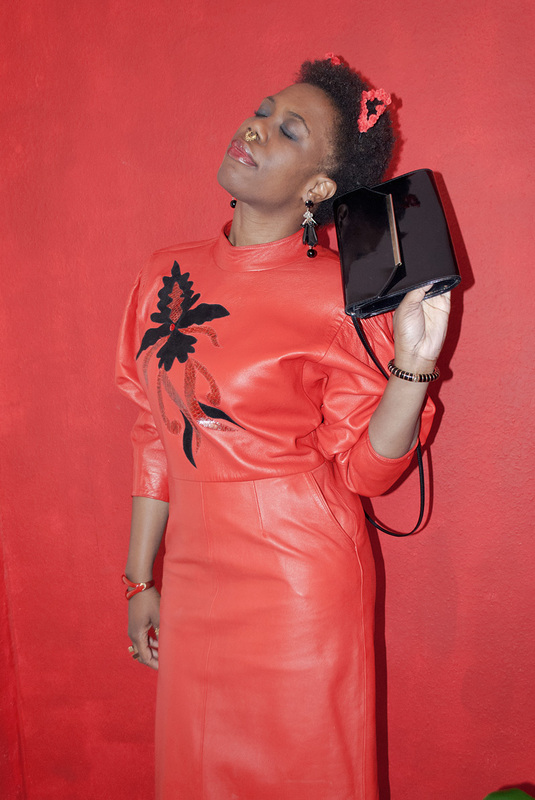 I’ve also got some of my most memorable compliments in red, I recently published a post where I featured some red pieces and one of my favourite bloggers, Dana from I’ve Got Cake, left me a comment that said, ‘Yaaaaaaaaas Gaga!!! !…I like the color red on you so much!’ That put a big smile on my face. You know when you see a dress and you feel like everything in your life has brought you to that exact moment? That’s how I felt when this dress caught my eye. I saw this dress and immediately thought 80s Power Dressing, I mean have you seen the shoulder definition on the dress? Balmain would be proud. I also love the black floral velvet detailing on the front of the dress. If red had to pick a lover, you know it would be black, so kudos to the designer for bringing these headstrong colours together in this garment. I can’t help but think that in this red dress, I’m ready to take on Alexis Carrington (Dynasty) in an argument and win! I feel that in a fight no matter what Alexis throws at me- and if you watched Dynasty, you’ll know I mean that quite literally- that I’ll be quick enough to dodge the blow and will give a retaliation that will bring her to her knees. 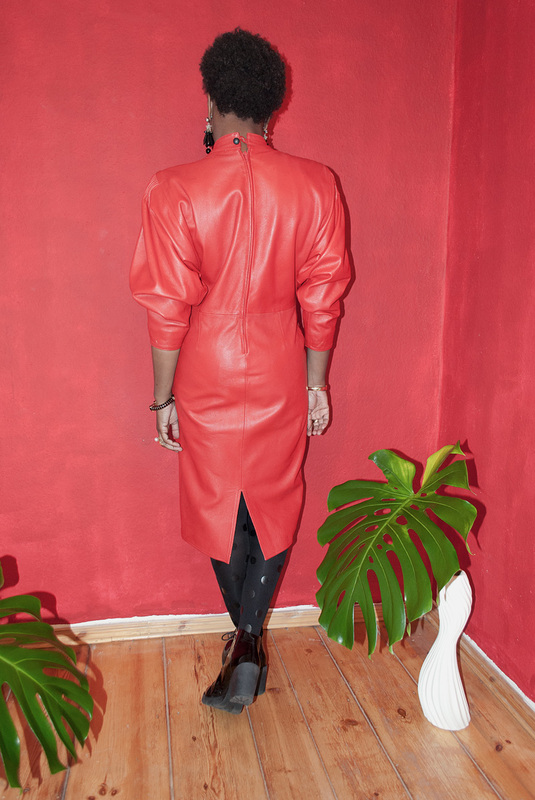 This red dress not only changes my mindset but the way I move, I find myself standing that much taller, my back is straighter, I’m conscious of holding my stomach in- I’m wearing leather after all and the texture is merciless. For me these are all great things and show the power of the red dress. What outfit or colour makes you bring your A-Game? Do tell, I’d love to know.